Researchers from the University of Virginia have found a promising way to pique adolescents’ interest in the fields of science, technology, engineering and mathematics: their parents. The study, conducted with colleagues from the University of Wisconsin and the University of Chicago, enlisted parents of 10th- and 11th-graders. It found that parents who conveyed the importance of math and science courses to their children in high school made a lasting impact on their interest in STEM fields years down the road. The findings, published in the latest issue of the Proceedings of the National Academy of Sciences, are the first to show that a motivational intervention by parents can have important long-term effects on a student’s STEM preparation and career pursuits. While the U.S. Department of Education reports STEM career opportunities continue to grow rapidly – outpacing the growth of nearly all other occupations combined – not enough U.S. students are adequately prepared to enter these fields. Current research indicates that many students do not enroll in courses that are prerequisites for STEM careers, a problem that starts in high school and persists into college. The findings from this study are the first to demonstrate that parents can play an important role in reversing this trend. 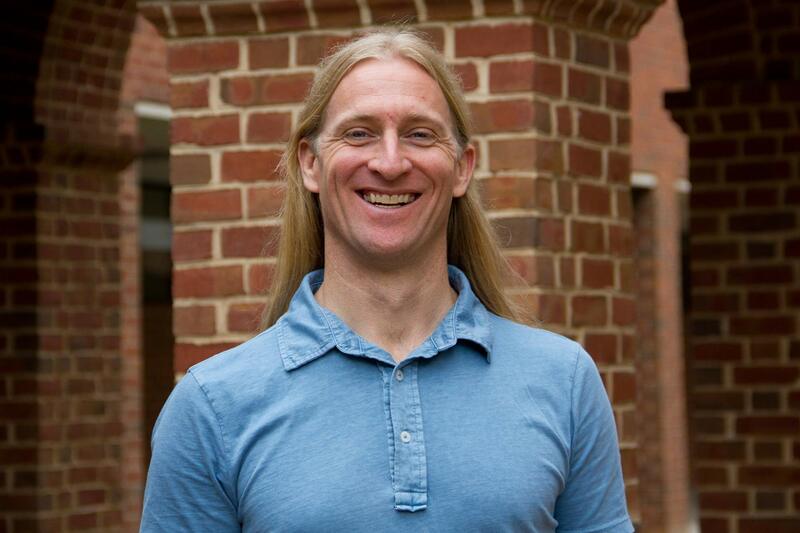 One of the study’s lead researchers, Chris Hulleman, a research associate professor at UVA’s Curry School of Education, said the findings point toward an underutilized resource. “Frequently, schools want to utilize parents in motivating and supporting students, but they’re not sure what the best approach is,” he said. As part of the randomized control trial, parents in the intervention group were sent a brochure and given access to a website that detailed the usefulness of STEM courses like physics, calculus and chemistry – courses that are available as electives in most U.S. high schools, but are rarely part of the required coursework. Hulleman explained that both the brochure and the website gave parents suggestions on how they could talk to their children about the importance of STEM education. Once the brochures and website information were sent out, the research team confirmed that more than two-thirds of parents shared the information with their children in some manner, and that more than 90 percent of parents accessed the website. Despite this unknown, the research team found impressive results. Hulleman said the team’s initial goal was to see if the intervention would simply increase student participation in high school STEM courses. “An initial study confirmed that students whose parents were part of the intervention increased their enrollment in STEM courses by nearly one semester’s worth on average,” Hulleman added. The research team then followed up with the same group of students five years later, and found a long-term positive effect on STEM achievement and perceptions. The students who participated in more STEM courses during high school after their parents viewed the brochure and website ended up performing better on the math and science portions of the ACT, a college preparatory exam typically taken during a student’s junior or senior year. Furthermore, once these same students entered college, they took more STEM courses than the students whose parents had not received promotional materials during the initial study. They were also more likely to have STEM career aspirations and were more likely to perceive STEM fields as useful and valuable. The findings are a step in the right direction, according to Hulleman, who said the benefits of exposure to STEM courses in high school go beyond producing qualified job applicants. Hulleman added the current intervention has great potential because it is simple and low-cost. “What we’re asking parents to do isn’t time-intensive or complex, but it may be potentially different than what they’re currently doing. We’re providing a resource that may reframe for parents how math and science can feel relevant for their children,” he said. While the results are exciting, Hulleman cautioned that more work needs to be done to determine if the approach would work in different communities across the country. The current study was conducted in an upper-middle class setting with mostly college-educated parents. Researchers are uncertain whether a similar approach might work in a communities where fewer parents are college-educated or do not perceive STEM careers as valuable.